University of California Press, 9780520257382, 296pp. Toasted marshmallows stuffed with raisins? Green-and-white luncheons? Chemistry in the kitchen? This entertaining and erudite social history, now in its fourth paperback edition, tells the remarkable story of America's transformation from a nation of honest appetites into an obedient market for instant mashed potatoes. 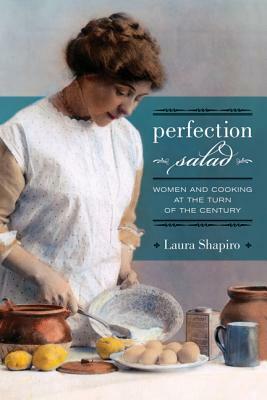 In Perfection Salad, Laura Shapiro investigates a band of passionate but ladylike reformers at the turn of the twentieth century—including Fannie Farmer of the Boston Cooking School—who were determined to modernize the American diet through a "scientific" approach to cooking. Shapiro's fascinating tale shows why we think the way we do about food today. Laura Shapiro was on staff at Newsweek and is a contributor to the New York Times, Rolling Stone, Granta, and Gourmet. She is the author of Julia Child and Something from the Oven: Reinventing Dinner in 1950s America.